NEW YORK (October 7, 2008) Avalon Business Systems, a leading developer of mail management utilities for use with Lotus Notes mail systems, announced the addition of a parent document management feature for its ReduceMail Pro Archive solution. 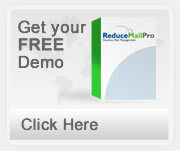 This feature is designed to assist save space and simplify mail management for the end user. Many email end users often receive repetitious email which contains the original message and many subsequent responses. These messages can be time-consuming to read for the end user without really contributing new information. In addition, repetitious email takes up space in the mailfile. With this new feature of ReduceMail Pro Archive, the Lotus Notes administrator has the ability to strip away the parent documents that are included in subsequent responses. “This feature really allows the Lotus Notes administrator to help the end user while helping to control space in the mailfile,” said Eugen Tarnow, Director of Development for Avalon Business Systems. “Since 10-15% of the space in the mailfile is used by repetitive messages, the Notes administrator can make a real impact simply by utilizing this new feature. Best of all, the end user sees an immediate benefit as well.” ReduceMail Pro Archive is available exclusively from Avalon Business Systems, an information technology company specializing in Lotus Notes and Domino products and services. Founded in New York City in 1997, Avalon has helped to fill the need for highly specialized Lotus Notes and Domino capabilities among sophisticated business organizations, government agencies, and not-for- profit institutions. Avalon’s ReduceMail Pro suite of products are helping clients worldwide control their e-mail systems through products that are intuitive, robust, and user friendly.